We all know that games' slogans are mostly the marketing tricks and nothing more. But with Dark Souls everything is true. You will really die in this game. Many-many times. 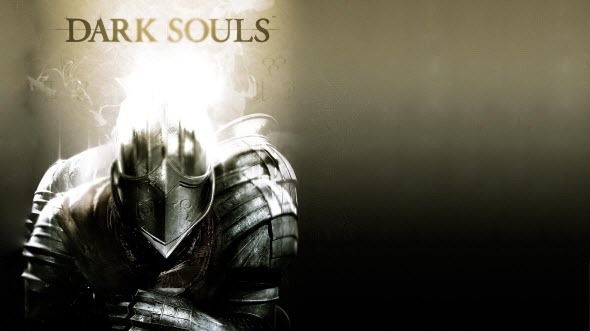 First version of Dark Souls was released for PlayStation 3 and Xbox 360 in 2011. 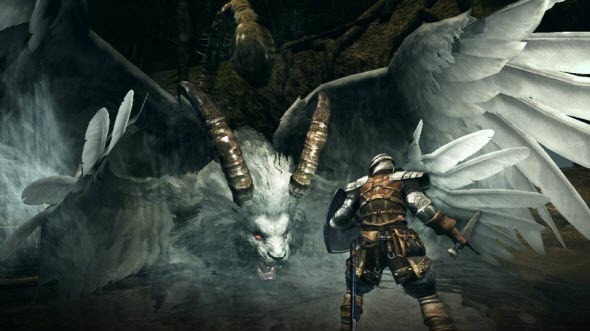 That time From Software announced that they were not going to release the PC-version of the game, and the gamers had nothing to do except to write the petition to the developers. Approximately a year after the Dark Souls edition for PC-gamers was finally released, and now everyone can enjoy this game. In truth we are not sure that you will really like it. But firstly let's come back to the original Dark Souls to find out, why it is so popular in the gaming world. This action-RPG game is known as the most difficult and hard one. Even if you are an experienced user, you will nevertheless die in this game countless times. Only one incautious step is enough to fall down to the deep abyss and get smashed up. Once you lose vigilance for a second, you will be killed by random monster, because one enemy's kick takes away the half of your health. The bosses are invulnerable at all... So you will return to the fire - the checkpoint of the game - again, again and again. After your death you will have a chance to continue the game, but without your trophies - souls of killed opponents - and humanity score. If you find your dead body, you can return this characteristics, but be careful: all killed monsters return to life after your death and you need to destroy them again. If you don't succeed there, you will lose trophies forever. 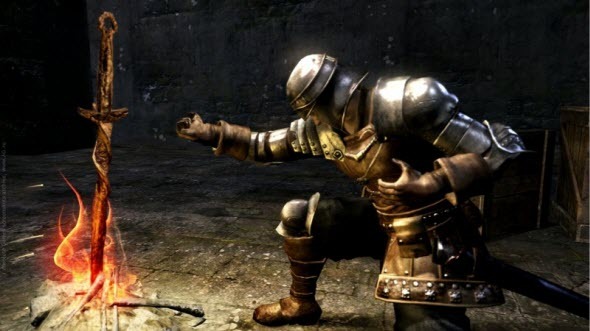 The story of Dark Souls is also very evil and sorrowful. The landscapes plunge us into gloom, and numerous scary monsters follow you during the whole game. The plot is minimalistic, and you need to find out what is going on here by yourself. This mystery only warms up the interest to the game, and that's why a lot of desperate game's fans are fighting in the dark world trying to survive and reach the illusive finish. 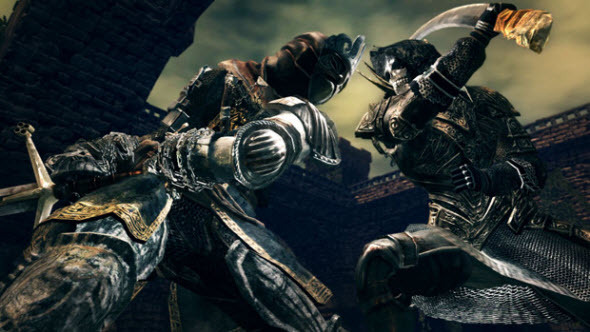 Dark Souls is a single-player game, but also there is a PvP mode here. In PvP you can fight against the player or help him with some boss and get big reward. Also you can leave a message for other game players to notify them about danger or to advise something. So, the game is worth your attention and time, and it is understandable, why so many gamers were waiting for its PC-version. On the 24-th of August, 2012 Dark Souls: Prepare to Die Edition was finally released, and now we'd like to evaluate its advantages and disadvantages. Let's start from the positive characteristics: in PC-version you will be able to discover three new locations with unique bosses and monsters. Also we have several new weapons and spells, so even if you have already passed Dark Souls on your Xbox, you have some reasons to buy this edition. Well, this is it, there are no more advantages for PC-gamers. Together with new locations and items we get awful mouse-keyboard control and terrible graphics. It is really extremely difficult to control your character, and the camera, guided by mouse, shows everything, but not what you are asking for. Even if you find the right camera's position, the annoying cursor will follow you everywhere. But the most interesting fact is that it is really easy to avoid this problem, and why the developers didn't fix the cursor's issue remains a secret. But the Dark Souls fans are very strong and they are not afraid of difficultness. That's why almost at once the gamers' hotfix of cursor's problem was released. Oh, if only it was a single problem! The graphics of Dark Souls leaves much to be desired. The picture is blurred and the resolution is only 1024x768. In comparison with modern games Dark Souls looks like dinosaur, which definitely shouldn't appear in XXI century. And again the one of the game's fans, whose nickname is Durante, fix this problem and let gamers enjoy more qualitative resolution (2048x1440). It took him 23 minutes to find the needed line in source code. Maybe, From Software should hire him, if their developers are not able to make the game that can satisfy contemporary gamers. From Software announced that they are going to release Prepare to Die Edition for Xbox and PlayStation 3 in October, 2012. We hope that in console version there will be no problems with gameplay and graphics, and so, the gamers will have a chance to fully enjoy new locations, bosses and weapons. Meanwhile you can download all new bugfixes and try this game with extremely high level of difficultness on your PC. However we need to warn you that it will be not only hard, but also particularly inconvenient.